Sleep trackers have been knocking around for a few years now, whether it's dedicated devices like the Withings Aura or the mattress monitor from Beddit (now owned by Apple). There's also a ton of fitness trackers from Fitbit, Jawbone, Misfit and the rest that have been tracking our sleep with mixed results. Somno Health is the latest startup made up of a team of medical device engineers and a sleep clinician that's promising to do things a little bit differently and crucially, help you get a better night's sleep. The startup has just launched an Indiegogo campaign for Eversleep, a wearable that's made up of a wrist-worn device connected to a finger sensor. 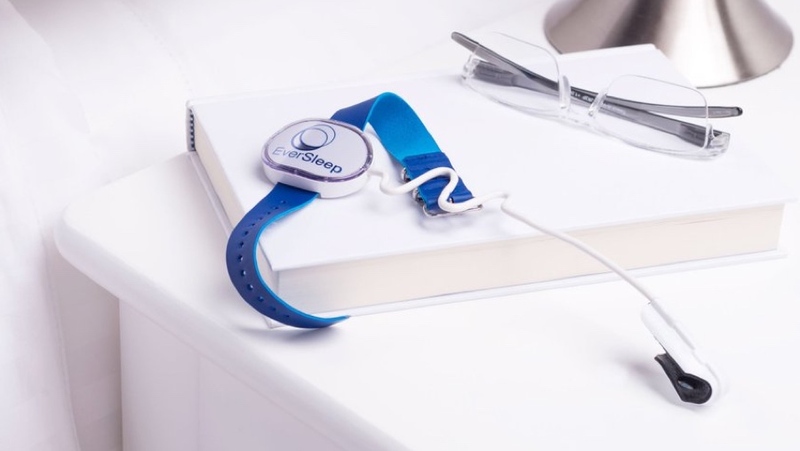 While it will still record the amount of sleep and track movement like most trackers, it also uses four sensors including hospital grade oxygen-monitoring technology to monitor blood oxygen levels, pulse rate, respiratory function and body movement. It is also able to provide snoring analysis, detect conditions such as apnea and insomnia and can even be used to get a better understanding of sports recovery. The startup claims this kind of data analysis would usually cost thousands of dollars to do via a sleep lab. After the analysis there is also a coaching element built into the companion app (iOS and Android) to help make sense of it all which will offer tips on how to sleep better and to address sleep problems like snoring. The EverSleep is hoping to raise $40,000 through crowdfunding with a $99 early bird offer letting you get hold of one for a less than the $199 retail price. If it hits that target, it's expected to ship in October 2017. On paper, it certainly has all the makings of a sleep tracker that goes beyond what most other devices are currently capable of. Our one big concern is, how comfortable is that finger sensor going to be to sleep with?